As I said before, some software companies like to cooperation with some computer magazines or websites to do promotion activity after they push out new version that is giveaway old version of software. Today, I would like to tell you how to get PC Tools Registry Mechanic 8 for free. This promotion comes from PC Tools company and Computeractive magazine for Magazine readers. Actually, if you knew web link anyone can get it. First step, use a British proxy, because that promotion only for UK users. Third step, type name and email address, after submitted it will send a registration code to your email at once. Last step, install it and use registration code to activate. 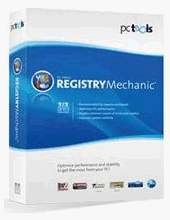 PC Tools Registry Mechanic 8 is not a new version, the newest version is PC Tools Registry Mechanic 9 now, it costs €29.95.